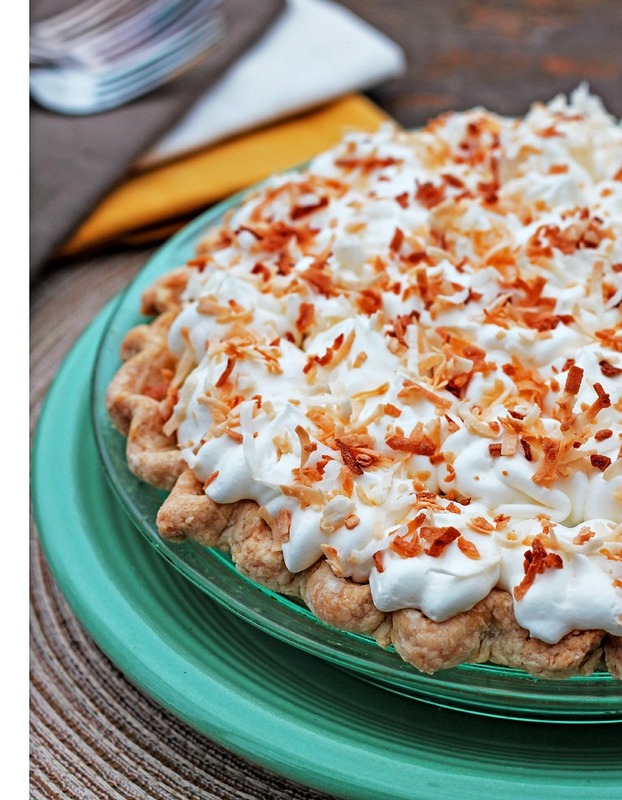 I’m very excited about this post- get ready coconut cream pie lovers! You will not find a better Homemade Coconut Cream Pie than this. 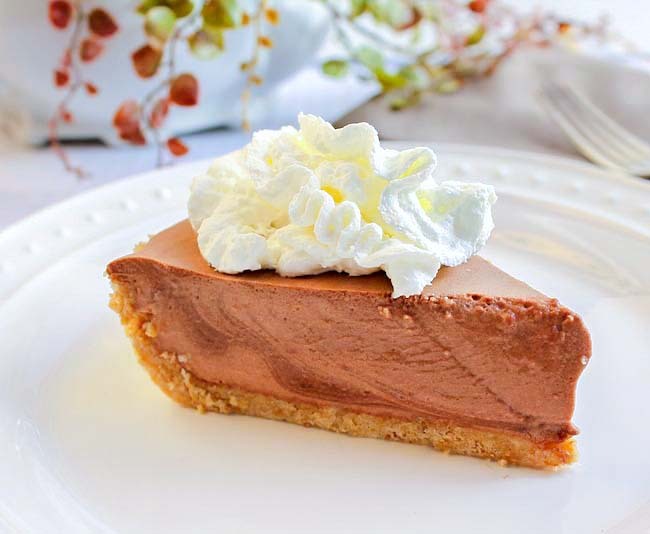 It’s creamy, delicious and has a wonderful coconut flavor. It’s absolutely the BEST Coconut Cream Pie you will ever taste. I love showing you how to make something you can buy at the store, homemade. At the end of this post you will be familiar with how to make a homemade pudding. A pie filling is just a homemade pudding. And it’s so helpful to know how to make one. This coconut cream pie recipe (oops, I mean the BEST coconut cream pie recipe!) will show you how. I’ve taken quite a few pictures starting with the homemade pie crust and working my way down to how to make the delicious pie filling that will go into the crust. I think visuals are important for beginner bakers. Being able to see each stage as it happens helps you know what to expect when you make the coconut cream pie. To you veteran bakers this will be old hat, bare with me: we have to think about the next generation of bakers. After all, I don’t want to be eating sub-standard baked goods when it’s my turn to go to the old folks home! Here we go Kids, we’re making The Best Coconut Cream Pie and you’re going to love it! 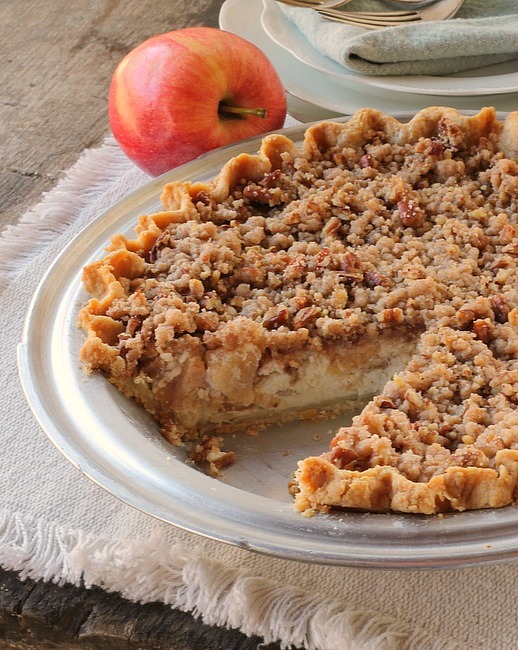 The first thing you’re going to need is a pie crust. Make you’re own, or use a pre-made crust. 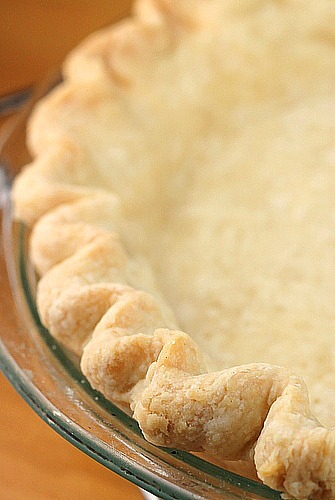 If making a homemade pie crust… Preheat your oven to 400 degrees. Roll the pie dough out, place it in a 9 inch pie pan,crimp the edges,put it in the freezer for half an hour to help firm the dough and cause less shrinkage when you bake it. 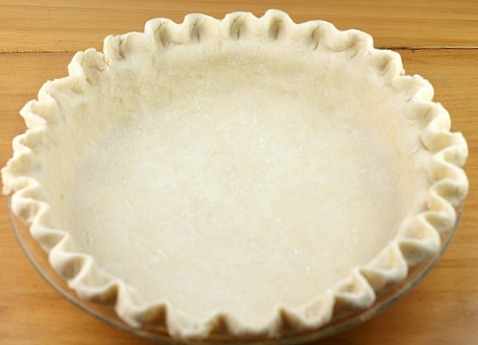 Remove the pie crust from the freezer, with a fork, prick the sides and bottom of the dough. Place foil or parchment paper on the bottom of the dough. Pour either 1/4 cup dried rice , dried beans or pie weights on the paper or foil and bake about 20 minutes or until nicely golden brown. If using a pre-made pie crust, bake according to package directions. 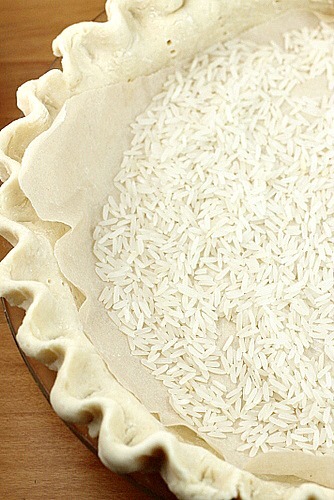 Remove the parchment paper and rice from the pie crust, cool on a wire rack. You’re going to need one 13.5 oz can of Coconut milk for this recipe. You can find coconut milk in the Asian or Latin aisles of your grocery store. Or, if you are preparing for advance, you can even order coconut milk off of Amazon so you don’t have to adventure around the store trying to find it. I’m sure there are different brands, I just happened to have this one so I used it. 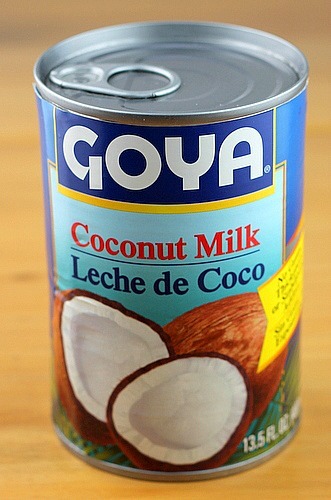 Open the can and stir the coconut milk with a spoon. Place the whole can of coconut milk into a large measuring cup. It will measure a little over 1 1/2 cups. Pour the Half and Half into the same measuring cup on top of the coconut milk until you reach the 3 cup measurement. Stir to combine the half and half and coconut milk. Place the coconut/half and half mixture into a medium size heavy metal saucepan. Keep whisking, this is the part that needs just a little patience. It can take up to 15 minutes for the ingredients to thicken. DO NOT turn the heat up to speed up the process. It needs to come up to a boil SLOWLY to thicken and set right. 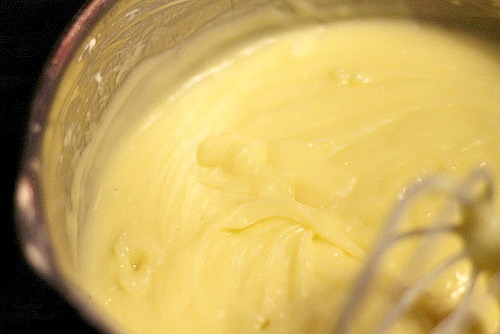 As you continue to whisk you will start to feel a slight resistance to the whisk as you make your way around the pot. The pudding is starting to thicken. Don’t walk away from the pot, when it starts to thicken it will happen all at once. Keep whisking until the pudding starts to boil, it will release thick bubbles that will come to the top like a little volcano. It has to reach this stage for it to set up properly. Once it starts to boil, whisk a little faster for a minute. Take the pudding off the heat and add the vanilla, butter and coconut. Mix to combine. You just made a gorgeous homemade pudding/coconut cream pie filling. Pour the pudding into the pie crust while it’s hot. It’s going to fill that pie crust to the brim! Place a piece of plastic wrap on top of the pudding, pressing down on the surface of the pudding slightly so the plastic wrap sticks to it to prevent a film from forming on the pudding when it cools. Refrigerate pie for about 4 hours. Top with homemade whipping cream or Cool Whip. I’m hoping you use whipping cream, it so deserves it. Cooking or baking from scratch isn’t hard, it just takes a little patience. And the reward for your patience… a homemade pie filling, a taste of the rich goodness your mother and grandmother grew up on. Enjoy! A step by step tutorial of how to make the best homemade coconut cream pie. 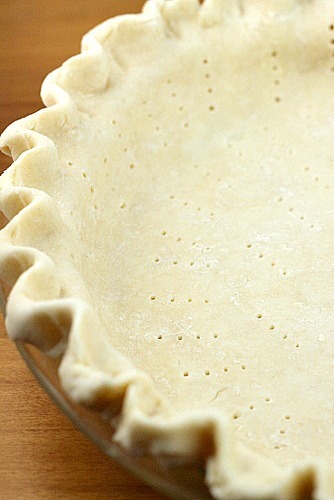 One nine inch homemade pie crust or pre-made crust. 1. Place the whole can of coconut milk into a large measuring cup. It will measure a little over 1 1/2 cups. 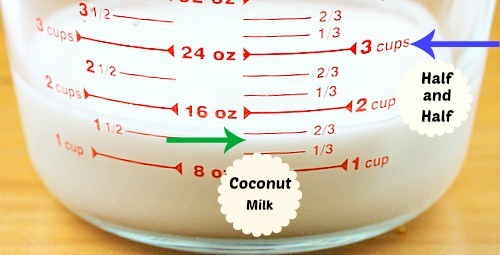 Pour the Half and Half into the same measuring cup on top of the coconut milk until you reach the 3 cup measurement. Stir to combine the half and half and coconut milk. 2. Place the coconut/half and half mixture into a medium size heavy metal saucepan. Place the 4 beaten egg yolks ,3/4 cup of sugar , salt and the 1/3 cup of corn starch into the pan as well. Whisk to combine. Turn your burner on low. Place the pan on low heat and slowly whisk . Keep whisking, this is the part that needs just a little patience. It can take up to 15 minutes for the ingredients to thicken. DO NOT turn the heat up to speed up the process. 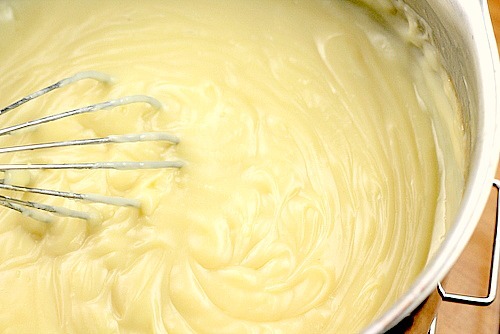 As you whisk you will start to feel a slight resistance to the whisk as you make your way around the pot. The pudding is starting to thicken. Don't walk away from the pot, when it starts to thicken it will happen all at once. 3. Keep whisking until the pudding starts to boil, it will release thick bubbles that will come to the top like a little volcano. It has to reach this stage for it to set up properly. Once it starts to boil, whisk a little faster for a minute. Take the pudding off the heat and add the vanilla, butter and coconut. Mix to combine. 4. Pour the pudding into the pie crust while it's hot. It's going to fill that pie crust to the brim! Place a piece of plastic wrap on top of the pudding, pressing down on the surface of the pudding slightly so the plastic wrap sticks to it to prevent a film from forming on the pudding when it cools. Refrigerate pie for about 4 hours. Top with homemade whipping cream or Cool Whip. AMAZING job with this one!! Thank you for the detailed info on making the filling and the photos really help. This looks just perfect, Bunny. 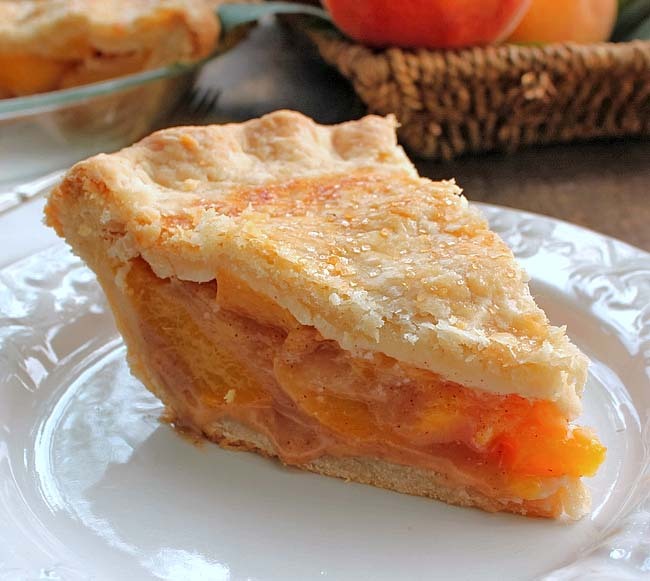 We all appreciate your work on this pie and taking the time to share it with your readers! Looks delicious. My mother had several restaurants in her lifetime. She was well known for her homemade pies. Coconut, chocolate, pineapple, peach, and banana cream, sweet potato, and strawberry. She always made her crust. She has been gone for 17 years and still people talk about her restaurants. I made this for Christmas dinner. 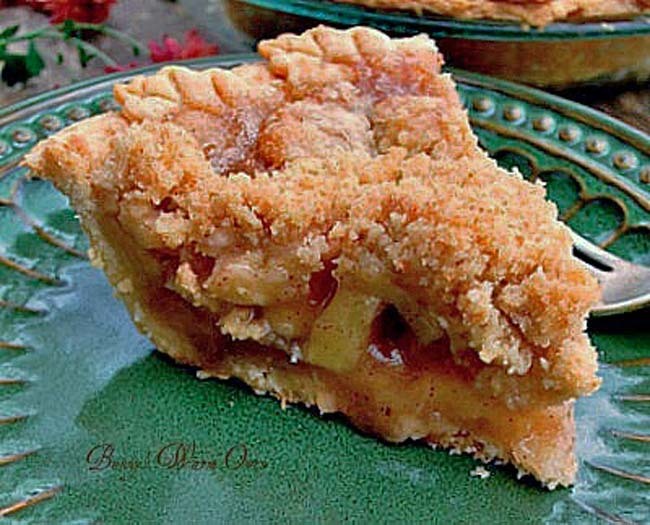 I love to cook but seldom make pies, just havnt come across many great ones. This was exceptional. WOW! Definitely a keeper. I doubled the recipe to make two pies and ended up with enough to make three. I used a Marie Callendars deep frozen crust-first time to try this brand. This too was excellent…perFectly flaky! Thanks for sharing! Thank you Kim for coming back to say you made it, you made my day. I’m so happy that you loved it as much as I do! Not all that experience with doing custards and have always cringed when trying to temper something like this– “fear of scrambled eggs”! This however (starting the mixture from scratch and cold) seems like it would be much easier. And yes, your cautionary comment is well taken. I’m looking forward to hearing about it Larry! I always love baking,pies particularly and my family loves it..I have tried my hands on custard, pineapple, coconut but a different version to yours..this is nice. This week on Friday we will be celebrating my younger sisters two sons head boy and prefect induction of their school and I was just thinking of trying out something new for dessert or after dinner coffee. You know your coconut pie might just be the answer to my prayers. Thanking for sharing from your heart..GOD BLESS. Oh how sweet is that Sera, please let me know how it goes for you! I added up all the calories using a store bought crust and the total comes to 4667. That is 778 calories per slice if you get 6 servings per pie. Hey, somebody had to do it! Now saying all that, I’m going into the kitchen and have a slice after waiting 5 hours for it to cool! It tasted great after scraping the pot clean with my spatula. I hope you loved it Cynthia!! Thank you so much for coming back to tell me Pat!! Delicious. I made it for dessert. I prebaked my pie shell last night and did the custard up today. It was a hit. There is nothing left of it. Honestly I think I would love it just as much in a bowl even without the crust. It was so good. The sweetness was spot on! Not too sweet- just perfect! Oh I know Lori, the custard is just fantastic and I could eat it with a spoon too! Thanks for coming back to tell me you made it! Bunny this is a 5 Star pie ! 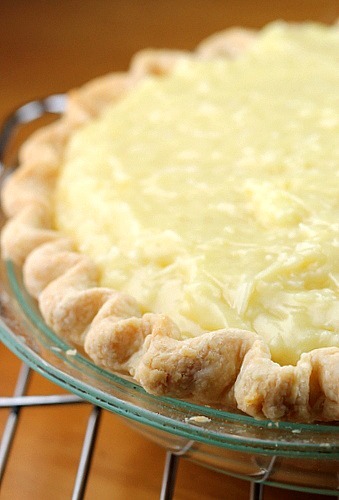 The Very Best Coconut pie you and I ever made ..thank you for sharing…. Thank you so much Barbara, and thank you for coming back to say you made it! I’m so excited to try this recipe out! Is this pie better made the day of or can you make it the day before? Thanks for the great recipe! Christine you can definitely make it the day before with no problem. I’m excited for you! let me know how it goes! do you toast the coconut before adding it? Not the cocnut inside the filling Heather, but you can toast some as a garnish on top if you like. This looks so delicious that I’ve copied it to keep and sent a copy to my family, asking them to make sure they cook it on a day when I’m visiting them! Your photos are excellent. Thank you Wendy!! I hope they make it for you! This is some serious yumminess here! 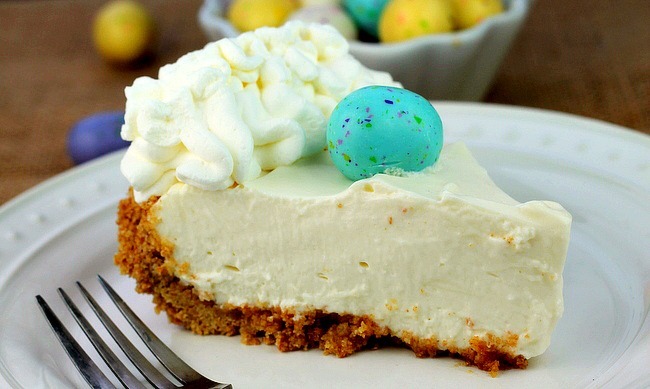 I see this one on the dessert table here soon! I am loving this pie recipe!! Just in time for a holiday weekend too! Bunny, what does it mean when you say, “High and half” to add to the coconut milk? Coconut pie is my favorite. Will definitely be trying this. Thank you. I’m sorry Nancy it should say “half and half”. I will definitely be making this,looks delicious!! I was hoping there would be a way to do a meringue topping on this yummy pie. If so how should I do it? Christine, sure you could switch the whipped cream for meringue! Just wait till the filling cools down in the pie crust, put it in the fridge. Then make your meringue and top it. It sounds wonderful Laurie, thanks for coming back to tell me you made it! I always put meringue on, then put it back in the oven to brown the meringue. Can this recipe be done that way too? Oh-Oh – actually, you must put meringue on a warm filling to bake it from the underside. Also, be sure to spread to the edges and a little over the crust to ‘anchor it’ to the pie. After toasting coconut in a cast iron skillet on the stove, sprinkle onto the meringue and put into a 350F oven for about 10 minutes and remove to cool. 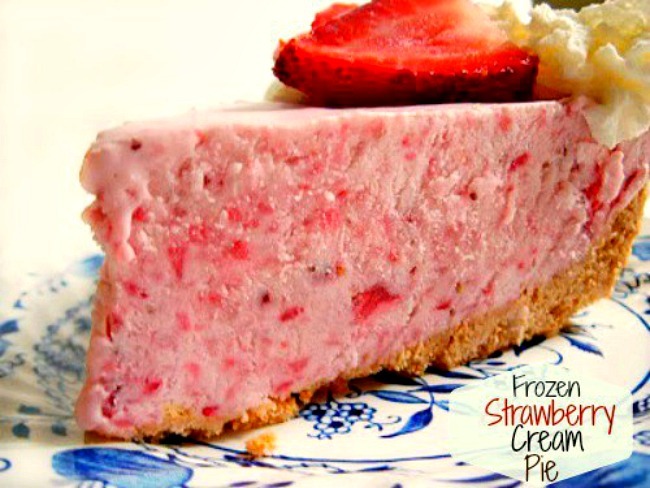 Refrigerate before serving.This pudding is absolutely delicious and is a keeper! Thank you TN, I appreciate your tips, thank you for taking the time to come back and comment! Not sure what you mean by half and half. This looks delicious and would love to make. Many thanks. Maria, some people use Half and half in there coffee instead of milk. You can usually find it close to the cream in the refrigerated section in the grocery store. I just made this for Thanksgiving today. Thank you for a delicious recipe and a thorough tutorial. I would have cranked that heat up about 20 minutes in. Haha! Can’t wait to dig in and maybe share!! The pan was delicious! Has anyone had a good outcome by using milk instead of half and half? Athena, I haven’t had anyone say they used milk, you could try it. Yes Athena, I used the milk in the recipe, you’ll love this one! Oh it is Sandy! Thank you for coming back to tell me you made it! 4 boys and they all know how to cook, girl you’ve done your job well!!! Any of them working in a nursing home? I wanna go where they work! LOL! Great job mama!! Ronnie I used a regular 9 inch pie plate when I made it. Can this recipe be cut in half? I need to make only two small 4″ pies for my great grandma who hates wasting food and can’t eat a full size pie 😉 thanks in advance!! Excuse my ignorance but what is half and half as mentioned in the coconut recipe??? 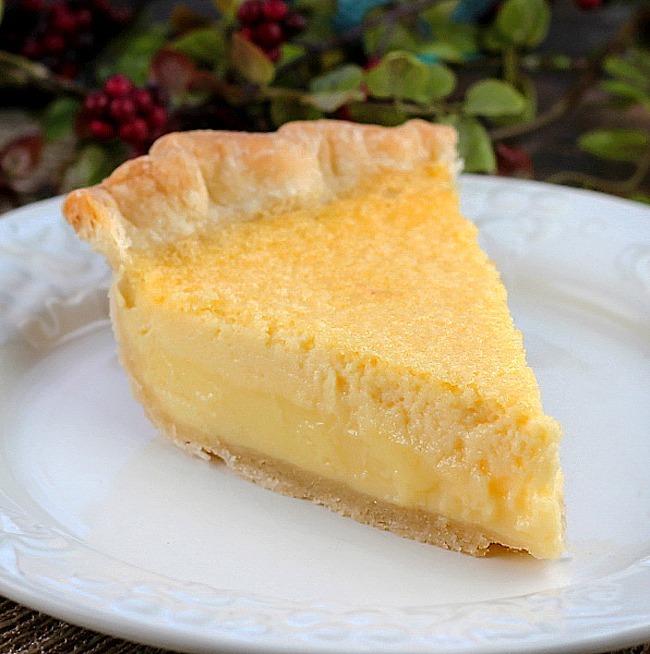 I just made your pie, wondering why it did not turn out the rich yellow color like your picture, which is what I was aiming for, did I do something wrong? Hi Norma! The color would come from the yolks, maybe my egg yolks were a darker yellow than yours? I have always eaten coconut creamed pie warm. Does this one have to be chilled? I’ve only ever eaten it chilled Jane. But as long as the filling is thickened when it’s warm you could do it. Can you cook this to long? I whisk it on the lowest setting on my gas stove for at least an hour. It never really had large bubbles, it got really thick it looked like cream puff dough when it comes together totally pulled away from the pan which appeared to have a skim of oil coating the pan. I finally gave up because I could not see why you would want it any thicker. Put it in pie shell covered it with Saran wrap which I smoothed over the surface to smooth the custard, it was so thick. Cooled it 4 hrs. Topped with fresh whipped cream and toasted coconut sprinkled on top. I guess I accidentally did something right as it received rave reviews. Thanks! MJ ” I guess I accidentally did something right as it received rave reviews.” I love it MJ!! You got “bubbles” so that was the important part and it thickened. I’m so happy it turned out well! Oh geez Kim I hope your patience was rewarded sweetie! I hope you love it as much as we do! I’ve been in the foodservice business for over 40 years and have sold a great number of pies during that time. However, I am replacing my standard coconut cream pie recipe with your’s. The coconut milk makes it so much richer. Thank you for the recipe. Karen you have no clue how much I love your comment. What a fantastic testimony of how good this pie is coming from someone who has cooked and baked for as many years as you have. Thank you so much for taking the time to coming back to tell me! Your welcome Rose! And it’s your first pie too! Thank you so much for coming back to tell me you made it! I’m just wondering if anyone has tried this with a sweet dough crust? Do you think it would be too sweet? Hi Amy, I’ve never made a sweet pie crust other than a graham cracker crust. Is that what you mean? NICE Bonnie, I’ve never made a coconut crust before! Oh I bet it was indulgent! 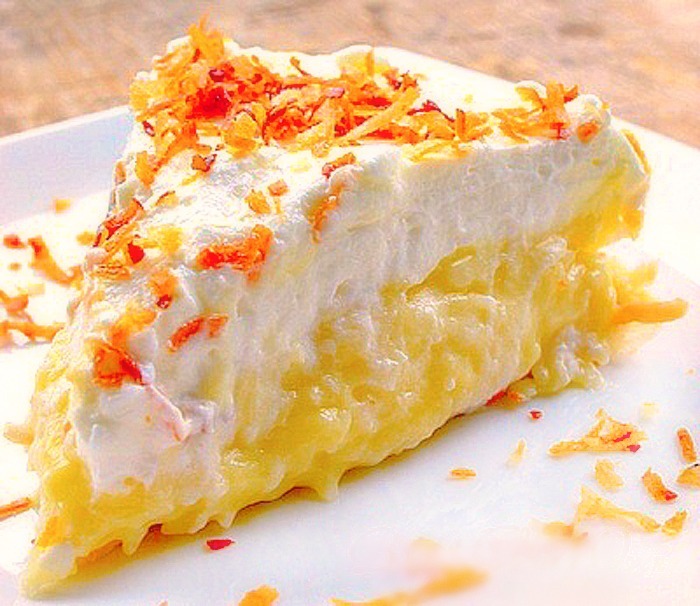 What a fantastic way to serve coconut cream pie! Can you put meringue on this pie? Absolutely you can put meringue on it Alice. My husband doesn’t care for it so I always use whipped cream. Maybe I missed something. The cocnut goes in the pudding right? And then toast some for the top? Yes Susan add the coconut when you add the vanilla and butter. Yes toast some for the top. What about banana cream pie can you cook it the same way too? Hi Rhonda, yes I think you could. Never did it but just make the custard part as usually and just omit the coconut and use bananas instead. Let me know who it goes with the bananas if you try it! Hi Linda I have to say your coconut cream pie is the world’s best #1. I also grinded up a chic o stick and pace it powdered and mixed moist coconut and put it on top and that was good everyone that liked coconut cream pies said it was the best too.. Fantastic Rhonda, thank you for coming back to tell me! Let me know how it goes with bananas! Linda sorry I’m just getting this, I’ve been down with a bad back problem. You can make half and half by adding milk to the heavy cream. Here are different ways to make half and half. You would use option two – 3/4 cup whole milk and 1/2 cup heavy cream. Mix 1/2 cup whole milk + 1/2 cup light cream. Mix 3/4 cup whole milk + 1/4 cup heavy cream. Mix 2/3 cup skim or low-fat milk + 1/3 cup heavy cream. Place 4 teaspoons melted unsalted butter in a measuring cup, then add enough whole milk to equal 1 cup. I am new to making any thing from scratch.But i want to share something on this site with those of same mind of pie making.I have a pie plate that measures 10.5 x 2 inches deep,a deep dish i guess.But any way in order to fill that dish you have to double the coconut pie filling.Unless you want thin pie. Thanks for the tip Wayne, it’s much appreciated! I have some picky eaters (like the taste of coconut, not the texture). Do you think I could grind the coconut and not over thicken the filling? I’ve never done it David but I don’t see why it wouldn’t work. It’s the same amount of coconut only in a different form so go for it and let me know how it works out for you. Just made the coconut cream pie and it is absolutely delicious!!! Thank you so much for sharing this recipe, it is a keeper for sure! Wonderful Joy! Thank you for taking the time to come back and tell me, I love it! You don’t know how happy this makes me Lori! I hope you love it as much as we do! Thank you for taking the time to come back and tell me you made it, I love it! Can I make this in a 10 inch pie plate or would it be too thin? Marg I really think it would be too thin for a 10 inch pie plate. I use a similar recipe for banana cream pie. However, you mix all ingredients except yolks, vanilla and butter and coconut and cook in microwave–start with 2 min., stir, and then 1 min., stir and 1 min.,stir. Whip yolks a little and add some hot mixture to temper them–mix quickly and add to milk mix and stir briskly. Cook another min. (more or less depending on your microwave) until large bubbles. My oven runs hot, so it takes less time. Then stir in vanilla, butter and coconut and proceed as above. This is incredibly faster and doesn’t burn on the bottom!! I also mix the sugar and cornstarch together before adding to liquid–seems to prevent lumps. Wow Barbara I had no idea you could make a pie filling in the microwave, that’s fantastic! Thank you, it will be so helpful for anyone else wanting to make it that way. Bunny can you use this filling for a ‘poke cake’? I was thinking about a dark chocolate sheet cake, poked, with this poured on just after it finishes, before the custard cools. Would that work or should I pull it just before it gets done? You know that might work Teresa, but as you said do it before the pudding cools. Let me know if you do it sweetie, that sounds delicious! Made this for a school fundraiser. Turned out great, but it took well over a half hour to reach the bubbling boil stage, and even then it didn’t bubble much. I had the heat on medium low. Also, I used a disposable pan for my crust and was only able to find a 10″ pan…had plenty of filling and left a little room for the whipped cream. Hi Tammy, I guess the filling decided to take it’s good ole time thickening didn’t it. Besides that, I’m happy it turned out great for you. Delicious! This was my first time making a coconut cream pie and it turned out great. I liked how you add everything together instead of incorporating the yolks later. Do you have a recipe for custard I could use in cream puffs? Actually, I use the coconut cream recipe for my cream puffs! And I get rave reviews! I use the coconut milk but not the shredded coconut. It’s so delicious! Fantastic Bonnie, thank you for taking the time to comment and letting us know! Can you beat the egg whites and put a traditional meringue on this pie? Absolutely Connie! My husband doesn’t like meringue, that’s why it has whipped cream LOL! I think I’ll take the coconut pudding without the pie. It must taste amazing! I made this yesterday! My family loves it so much! They keep on asking me to make more! I told them I’m going to make on the weekend. Thank you so much for sharing! Wonderful Heather!! Thank you for taking the time to come back and tell me. I appreciate it!